Showing recent results 31 - 45 of 265 products found. 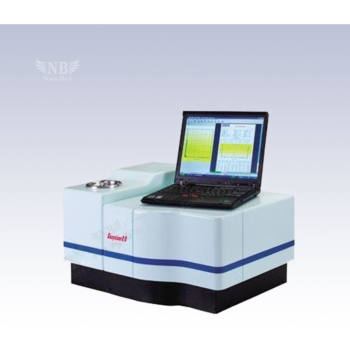 Spectrometer 3091 - TSI Inc.
sysizer20 is the latest product of OMEC in Year 2006 and is highly automated, all the process can be done automatically after setting up initial parameters. 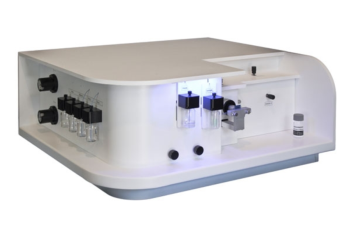 Multiple sample feeding systems are available to meet your requirements. 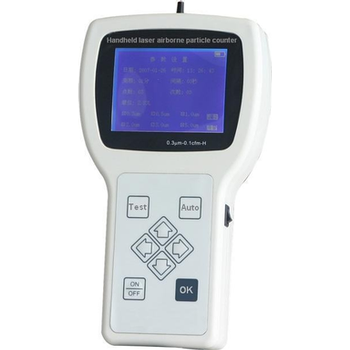 Applications：Measure the particle size distribution of powder or latex Principle：Use the principle of laser light scattering to determine particle size distribution. 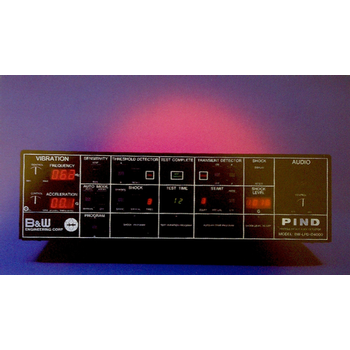 MCA-8000D Option PA - Amptek Inc. 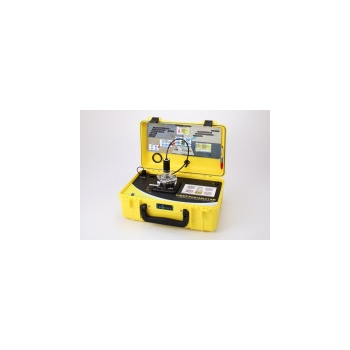 The Option PA package has been developed to facilitate the use of the MCA-8000D for particle counting in airborne (Size Calibration) and liquid suspended1 (Number Calibration) particle applications. The unit is calibrated and certified traceable to the National Institute of Standards and Technology (NIST). The Option PA package is capable of detecting pulses from 5 mV to 10 V. The MCA-8000D is typically connected to the output of a particle sensor. 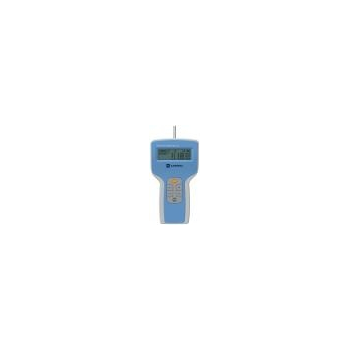 It detects and displays a spectrum of pulse heights allowing the user to determine if a given particle size is producing the correct voltage. The software included with the MCA provides information on the peak center (centroid and mean calculation) making it easy to determine if the peak is in the correct position. The MCA is internally calibrated to convert the MCA channel scale to a mV scale and therefore loads automatically, making it unnecessary to load calibration files manually. P.I.N.D. 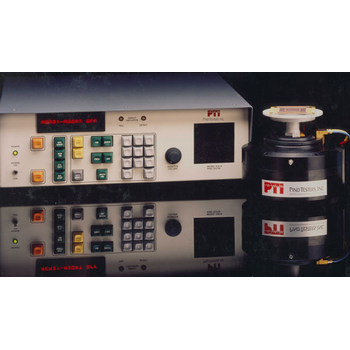 - Spectral Dynamics, Inc.
For over thirty years the PIND Products Group of SPECTRAL DYNAMICS, INC. has given users a simple, reliable, and inexpensive method of ParticlePIND Impact Noise Detection (PIND) testing to increase the reliability of electronic components. Our non-destructive high frequency acoustic test monitors for loose particles moving inside high reliability internal cavity electronic components such as relays, transistors, hybrids, integrated circuits, and switches – particles that have the potential of causing short circuits and serious malfunctions in system operations. A shaker is used to excite loose particles within the component cavity. 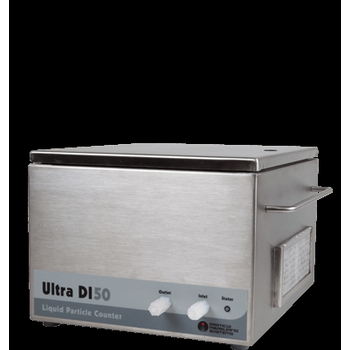 The Ultra DI 50 Liquid Particle Counter is designed specifically for de-ionized (DI) water systems and will count and size contaminants as small as 0.05m. 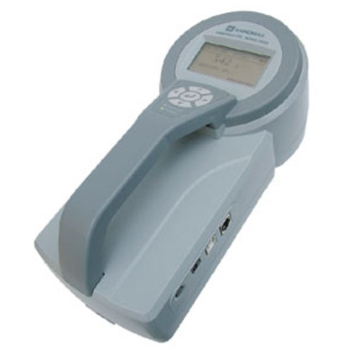 3910 & 3905 - KANOMAX USA, Inc.
Models 3910 and 3905 are the smallest 6-channel portable particle counters in the industry; with a 50 LPM and 1 CFM flow rate respectively and a 0.3-micron sensitivity. Both units feature a large color touch screen with a streamlined and user-friendly interface, which is preprogrammed with different standards to help guide you through the measuring and certification process. There is an optional Climomaster environmental sensor that provides you with the ability to measure air velocity, temperature and humidity, making the 3900 series portable particle counters the ultimate tools for cleanroom certification. 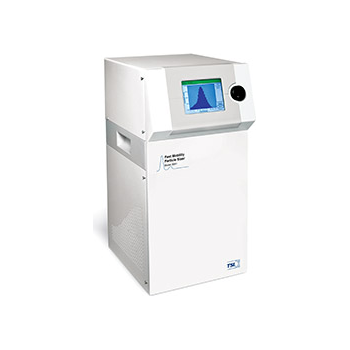 The IDS 2030 is a true charge detector and is independent of particle energy (thermal to keV), particle mass, and incident angle.Designed for positive charge detection the detector will also detect negative ions and electrons.The ion detector functions pressure independent over at least a range of 9 decades (1 Torr to 1 kTorr).The detector allows a read-out speed from 0.2 frames per second (fps) up to 360 fps.Spectra acquisition can be synchronized with an ionization using a trigger pulse.High Density Detector Array featuring 2126 active pixels over 51 mm. 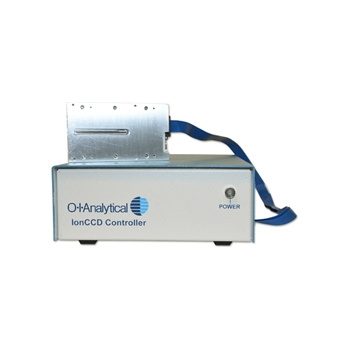 With a pixel width of 21 m and a height of 1500 m the detector features an effective area of 88%.Typical applications are in Mass Spectrometry, Ion Mobility Spectrometry, beam profiling, and ion source characterization.The IonCCD is mounted on ceramic printed circuit board and delivered in an aluminum enclosure for easy mounting and protection.The IDS 2030 is CE certified (FCC, RoHS, WEEE). Climet offers over 15 different models, differentiated by a combination of flow rates and feature levels. Climet has set the standard in cleanroom environmental monitoring. 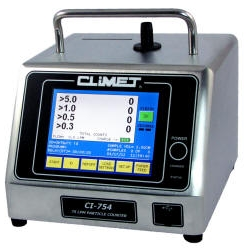 Climet particle counters manufactured since 1993 pass the ISO 21501-4 standard, which was ratified more than 14 years later in 2007, and more than 14 years before the competition. All models are all compliant with ISO 14644-1/2, ISO 21501-4, EU GMP Annex 1, and21 CFR Part 11. 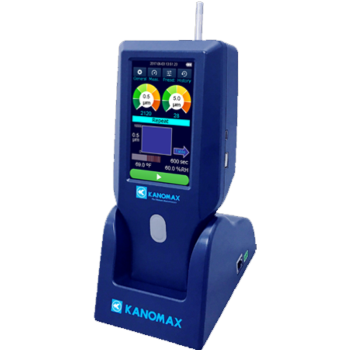 Kanomax’s new Handheld Particle Counters (Models 3888 & 3889) are on course to set the standard of instrumentation in cleanroom/operating room monitoring and verification, filter testing, IAQ investigation, data center cleaning and plenty more highly specialized and highly sensitive applications. These beautifully engineered devices boast some of the most highly advanced technology in the industry; the powerful devices are a combination of accuracy and practicality. Archimedes - Malvern Panalytical B.V.
Archimedes is a new, highly innovative instrument which uses the technique of resonant mass measurement to detect and accurately count particles in the size range 50nm - 5µm*, and reliably measure their buoyant mass, dry mass and size. Particularly useful for the characterization of protein aggregates in formulation or buffer, Archimedes is also able to distinguish between proteinaceous material and contaminants such as silicone oil by means of comparing their relative resonant frequencies and buoyant masses. LISST-Portable|XR - Sequoia Scientific, Inc. Truly portable – completely self-contained with built-in data logger, processor, rechargeable battery, and 7” color touch screen display.Particle Size Range 0.35 to 500 micronsPumped and recirculating mixing chamber that keeps large and heavy particles suspended.Shock mounted optics block that can withstand the rigors of field use.A built-in ultrasonic probe for complete sample dispersion.Touch panel allows for easy SOP programming, sample analysis and display of data without a PC.Multiple Mie models as well as Fraunhofer model available for inversion, selectable from the touch panelAll data-processing is performed on board and stored in ASCII format. No post-processing necessary.Outputs: Total volume concentration, mean size, standard deviation, optical transmission, D5, D10, D16, D25, D50 (median grain size), D60, D75, D84, D90, D95, D60/D10 (Hazen uniformity coefficient), particle surface area, silt fraction, silt volume, size distribution, battery voltage, sample notes.Based on the laser diffraction principle. Compliant with ISO-13320-1 standard. BW-LPD-D4000 - B&W Engineering Corp.